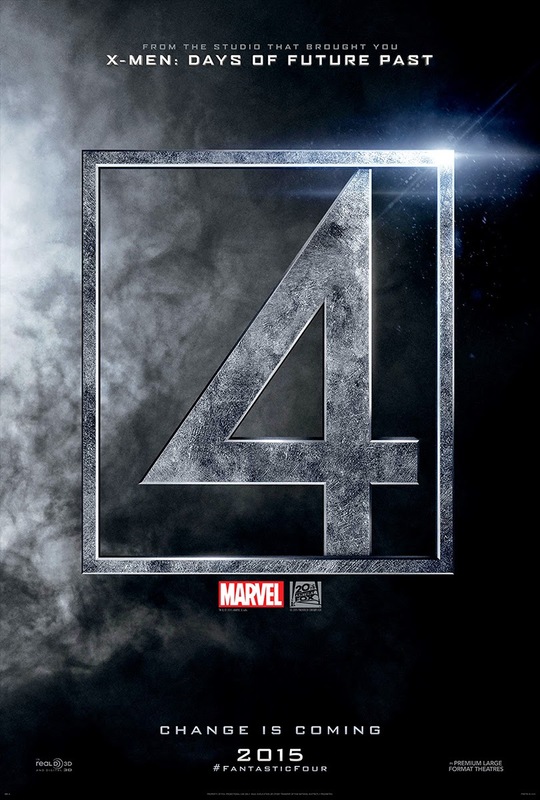 So, the trailer for the Fantastic Four reboot has arrived and it looks like the title is going to be Fant4stic. Well, at least for the trailer, hopefully it will be written in a more traditional fashion when the movie comes out. Not unlike the recent Taken sequel, the trailer proclaimed it Tak3n, while the movie itself was officially Taken 3. I know, I am spending too much time on this, I just don't care much for the number/letter mix. The only one I think I can stomach is Se7en. Anyway, the trailer is here and now the speculations can begin in earnest. I am not the biggest fan of the prior Fantastic Four films, with their mixture of good and bad casting, family-friendly tales, and reimagined Dr. Doom. I thought Chris Evans and Michael Chiklis were perfectly cast while Jessica Alba was awful (in the role, that is). I also preferred the sequel to the original. Although, I suspect many of you will tell me I should hate both. Whatever. With this first trailer comes my first look at the cast. When they were announced there was only one member that I really liked, Michael B. Jordan as Johnny Storm. Of course many people will cry about the race change or logic, but I am sure the store will make sense and the race makes no difference. I really like Jordan, he has shown some range and I think he could make a great Storm. Now, for the rest of the cast, I was underwhelmed. Miles Teller (recently giving an eye opening turn in Whiplash) as Reed, Kate Mara as Sue, and Jamie Bell as Grim. Not exactly what I had in mind, and I was worried this was going to be terrible. The trailer, much to my surprise, actually looks pretty good. At this point it is all about tone and implication rather than giving us anything big. In that regard, this is more of a teaser than an all out trailer. That said, I am cautiously optimistic. It looks halfway decent, the cast look better than I thought they would, and I am interested, even based on the show nothing, familiarly formatted clip. Looks sweet, always been a fan of the F4, however I really wish, both DC and Marvel, would quit re-inventing the heroes and story lines.